Signed, lined with a quote and dated by the author to the title page. Synopsis : Europe is still littered with the darkest secrets of the Cold War. And the most deadly revelation of them all is about to be made! Hard-up Russia expert Dr Sam Gaddis finally has a lead for a book that could set his career back on track. 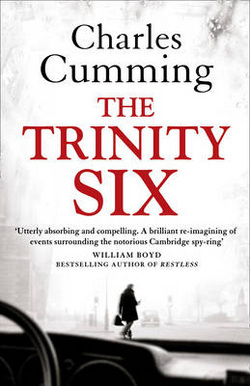 He has staggering new information about an unknown sixth member of the infamous Cambridge spy ring -- a man who has evaded detection for his entire life. But when his source suddenly dies, Gaddis is left with just shreds of his investigation, and no idea that he is already in too deep. He is threatened, betrayed, hunted -- and alone. To get his life back, he must scour a continent still laced with lies to find the truth behind the Trinity Six. Both Moscow and MI6 will use everything in their power to keep their fragile peace intact. But why murder people to hide secrets that should by now be history? Gaddis starts to understand -- far too late -- that he is closing in on a discovery that will shake Europe to its foundations!